The LG V30 has been officially announced with its f/1.6 aperture lens and other photo/video based features photographers will enjoy. 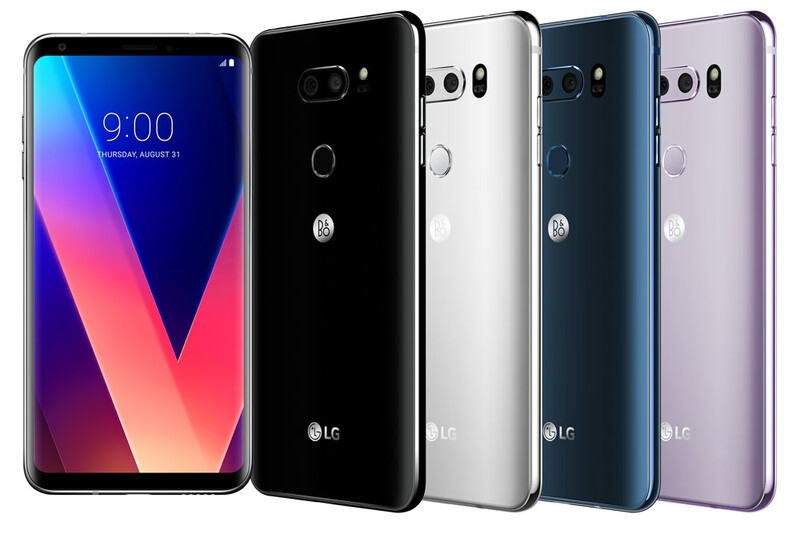 LG has finally released all of the specs and details about the new LG V30 smartphone which updates the V20. Earlier this month, we found out that the new LG flagship smartphone would feature a f/1.6 aperture (the first smartphone to do so) and a glass 16MP standard angle lens in the dual camera. LG also said the new wider aperture will offer 25% more light to the sensor compared to a f/1.8 lens and that distortion has been cut by a third even though the camera module is actually 30% smaller in size compared to the one in the V20. Adding to what we already know, today LG has said that the LG V30 features 'Graphy' - a function available in Manual Mode that allows the user to select an image they like from the Graphy website or mobile app and apply the same presets such as white balance, shutter speed, aperture and ISO to photos taken with the V30. The second lens in the dual camera is a 13Mp wide-angle and video fans will be happy to hear they have more freedom when using the zoom functions of the phone thanks to Point Zoom - a feature which allows users to zoom in on any subject smoothly using the zoom slider, regardless of its position in the frame. 15 presets can be applied to videos captured and the LG V30 supports LG-Cine Log so video files are saved with a greater level of image detail. Video files can also be recorded using log gamma curve. Other photography features include Optical Image Stabilization (OIS), Electronic Image Stabilisation (EIS) and Hybrid Auto Focus that combines both Laser Detection Auto Focus and Phase Detection Auto Focus. The LG V30 features a 6inch screen, 3300mAh battery, and is waterproof. The V30 will be available in South Korea on 21 September 2017. The rest of the world will be able to purchase the new smartphone sometime after this date.